Years later, it would make sense to me why I always kept thick curtains closed over the windows in the living room. That is where my oldest son bounced happily in his little blue bouncy baby chair. At the time, it was only a subconscious reaction to his crying when too much afternoon light streamed into the room. It was always the same: too much light, too much noise, too much of just about anything always sent him over the edge, crying as if in pain, swarmed by something unseen. In fact, the sound of his own crying seemed to overwhelm him as well. But that was years ago, long before someone handed me a book in a bookstore, then kindly asked me if I’d ever heard about something called autism. Autism is a strange animal and often a cruel master. My wife and my children are all highly intelligent from a “book smart” perspective. In fact, I often joke that they are walking encyclopedias. They have an uncanny ability to recall vast numbers of facts, quotes from books, and movies line by line. Yet, despite their startling capacity to memorize facts and recall distant memories, they cannot navigate the sea of everyday social cues. They become snared on the reefs in the everyday oceans of a world that cannot understand them or relate to them. Like Superboy, my oldest can hear whispers from across the room, but is clueless to innuendo and intent. Then there’s me, with my off-the-charts empathy, reading the most minuscule social cues from a hundred paces. Last Halloween, my son was walking stiffly down the sidewalk, dressed as Master Chief from his favorite video game, Halo. He was beefy — pushing six feet — a 14-year-old man/boy. He looked out of place among so many young children dressed in their own Halloween costumes. Still, blessedly, my son probably felt no social discomfort. In fact, socially, he probably felt right at home with most of those young kids. The world flowed around him, sounds of running feet, noisy and excited children, laughter and conversations hanging in the dark night air. Three teenage girls dressed in black costumes breezed by us on the sidewalk. They chattered excitedly, noisily, in those subversive, conspiratorial tones that teen girls seem to quickly master. My son probably heard them coming well before I did; his hearing is remarkable, like some super-spy with sensory processing disorder (SPD). In fact, his hearing has become something of a party trick with our friends and family. For fun, we put him on the other side of a large room, turn our backs on him, and then speak in low tones asking him questions. He answers them all. That night, perhaps he heard the conversation of the teenage girls. Maybe teen boys have some kind of built-in radar for teen girls in their proximity. Anyway, he took notice of them and engaged them in a brief awkward conversation at the next doorstop candy-filling station. During the next half hour, my son continued to engage the three girls in clumsy conversation, at one point leaving his younger brother and me behind. Moments later, he circled back, informing me that the girls had asked him to go with them trick-or-treating. Instinctively, I hesitated. A few houses later, we caught up with the girls, and my suspicions were sadly confirmed. Perhaps there is no more subtlety cruel creature than a teenage girl. Perhaps there is some ancient instinct woven into them, one that sorts out potential mates: those to be pursued and those to be ignored. At the next doorstop, I watched my son laboriously explaining to a homeowner that he was Master Chief from Halo. Leaving him behind, the girls walked by me, while laughing softly, mouths open and dripping with the sweet venom of mockery. I made certain that we did not cross paths with them again that night. I was not shocked by our encounter with the girls. I’ve grown quite accustomed to the hidden sharp edges of a culture that seeks gratification, ignoring what it cannot understand, people like my autistic family. Often, I wonder what cosmic action or hard twist of fate placed me in their midst, as both husband and father to four autistic persons. They are bright, warm, big-hearted people. Loyal to a fault, highly family-driven. Yet they live adrift in a sea of mystery, unable to neatly fit inside cultural norms. They bump along, baffled and puzzled by the hum of social connectivity that surrounds them. When I think about the internal trauma my son feels in what must surely be a blindingly mysterious world, I grieve for the maddening frustration he faces when trying to connect with others. Of course, this is a both a blessing and a curse. Yes, while my son cannot read social cues, he is also blissfully unaware of the emotional weapons some people use to inflict emotional pain. Despite our wondrous cultural advancements, we humans have not learned the importance of kindness to those who think differently than the “norm.” The anonymity of the Internet — coupled with the daily cultural blurring that surrounds and permeates us — has given us a sharp, shank weapon to wound and rend hearts both around and beyond us. We live with daily doses of bitter discouragement and subtle wounds that would not have been tolerated in earlier generations. So it comes as a blessing that my son does not feel the pain that so many would willfully inflict on him. His heart is giant, his emotional well is gloriously deep, and he lives mostly unpolluted by the poisoned world in which the rest of us must live and breathe. When I think of the “her” that must find my son, I know she must be Supergirl. For someone to share her life with him, she must be like me in empathy. She will be able to read the social cues of others for my son, while joyfully laughing off the emotional projectiles of hurt that will surely be thrown her way. She will intimately know the bitter, yet beautiful, cost for loving my son. I can see the image of her clearly sometimes. I can also see a future man, my son, who will be loyal to her until his dying breath, encouraging in dark hours, hardworking, and diligent to a fault. He will be a true friend to her, come what may. Only this Supergirl will know the beauty of my son’s heart, for her vision will penetrate deeply through his flesh and bone, clearly seeing the beauty beneath. With an encouraging smile, she will take him into her arms and fly with him, showing him the clouds, pointing out the stars that rest sparklingly high above a world that cannot fly, that cannot know the true courage that courses through his veins. Supergirl, I await your appearance. I promise to ready him as best I can, before you spirit him away to your Fortress of Encouragement. I will hide the Kryptonite of this world that would like nothing better than to destroy him, enclosing it in the armor of my own heart each day so that he may dream of your coming. Hurry now, Supergirl, grow up strong and true; become the real woman I know you must be. Hurry now, woman of steel, we’re watching the sky for you. Fly safe, fly true to him. J. David Hall is fifth-generation native Texan. He earned a Bachelor’s degree at Sam Houston State University and holds a Masters degree from Covenant Theological Seminary in St. Louis. David and his wife, Michelle, live in Austin, Texas, where she practices as a clinician in the field of pain therapy. They have three children: Asher, Cherith, and Levi, all living with ASD. David enjoys the outdoors, travel, reading and writing, vintage aviation, and cooking barbeque at his parents’ ranch on the Colorado River in Texas. He is currently working on a book about the humor and heartache of raising an autistic family, and hopes to publish in the fall of 2016. He is a passionate advocate for persons with autism, and is nationally certified in Conflict Coaching through Peacemaker Ministries. J. David Hall is fifth-generation native Texan. He earned a Bachelor’s degree at Sam Houston State University and holds a Masters degree from Covenant Theological Seminary in St. Louis. David and his wife, Michelle, live in Austin, Texas, where she practices as a clinician in the field of pain therapy. 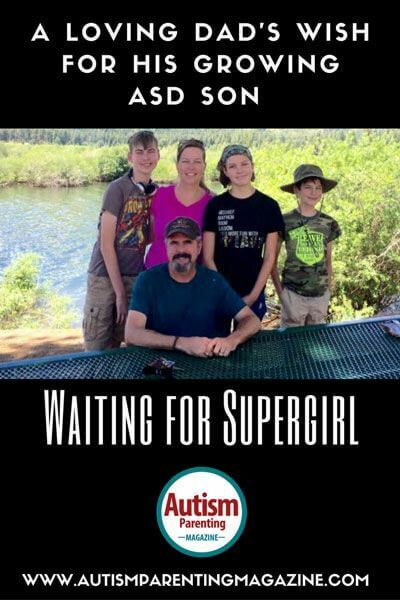 They have three children: Asher, Cherith, and Levi, all living with ASD. David enjoys the outdoors, travel, reading and writing, vintage aviation, and cooking barbeque at his parents’ ranch on the Colorado River in Texas. He is currently working on a book about the humor and heartache of raising an autistic family, and hopes to publish in the fall of 2016. He is a passionate advocate for persons with autism, and is nationally certified in Conflict Coaching through Peacemaker Ministries.